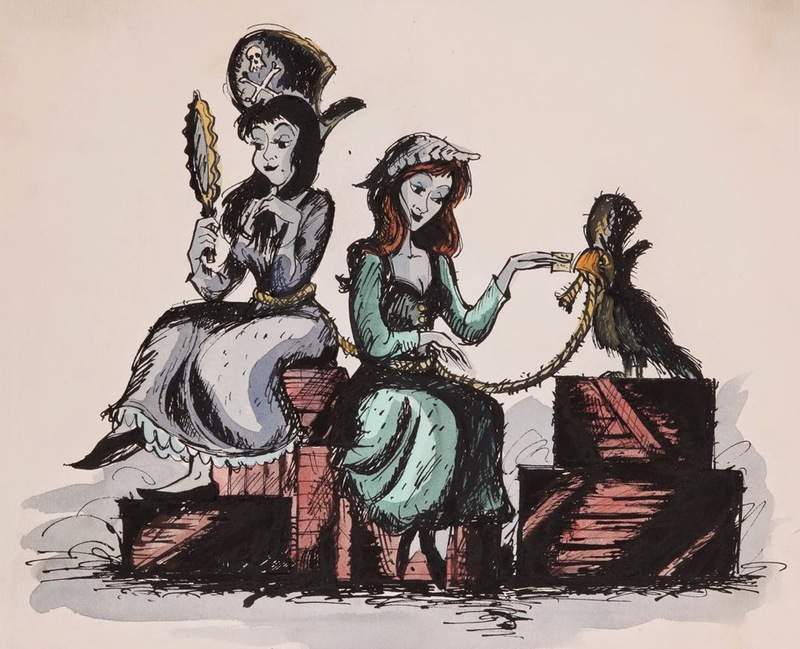 After over 50 years of men, both real and animatronic, shouting “We wants the redhead!” Disney chose to finally change the infamous “wench auction” inside their classic attraction Pirates of the Caribbean last year. There was a mixture of reactions to the change, and I myself debated on writing about it here on the blog. Ultimately I opted not to, because I really didn’t want to open up that can of worms at the time. 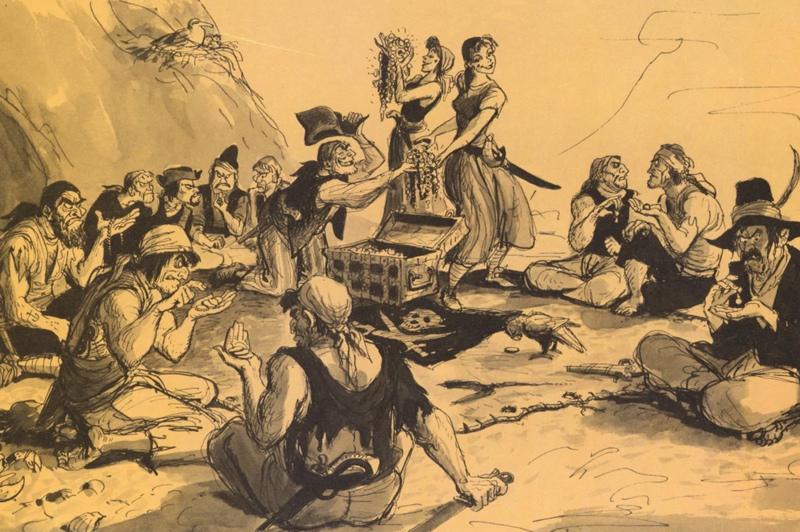 But regardless of attitudes toward the change, there is no doubt that it gave Guests something that was in original concept illustrations for the attraction; a female pirate. The iconic redhead who all the men wanted to bid on was transformed into Redd, a gun toting, rum drinking pirate. 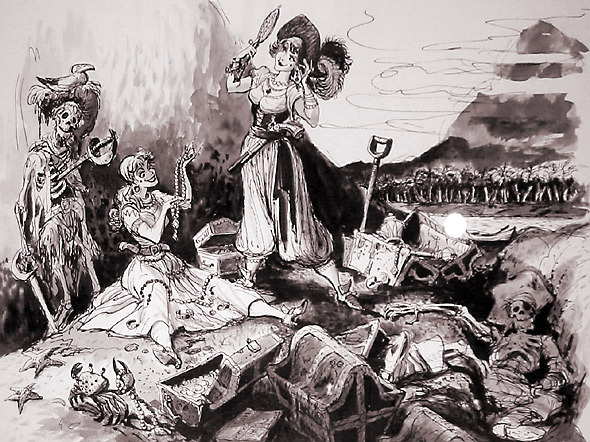 Early concept illustrations by Marc Davis featured female pirates inspired by real life female pirates Anne Bonny and Mary Reed. You can see such illustrations here, here and here. 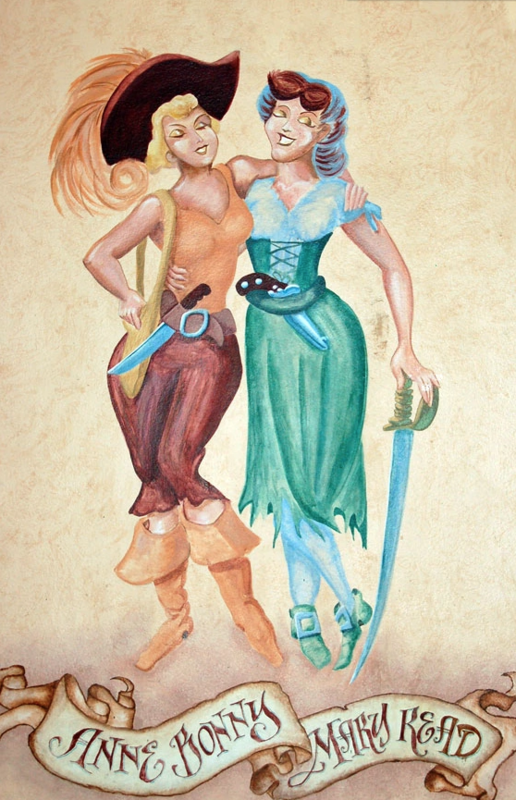 However, they were nixed, and the only female pirates Guests ever saw were painted versions of Anne Bonny and Mary Read on wall of Pirates of the Caribbean’s queue, tucked behind a large crate, and often overlooked. What is all of this chatter getting at? Well, earlier in the week marked the anniversary of Pirates, as well as the first ever Pirate Day, another unofficial theme day, encouraging Guests to connect with their inner buccaneer. 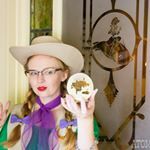 Months ago I had scored the perfect dress to Disneybound as the new redhead, and planned to dress up for the anniversary long before Pirate Day was announced, so it was a nice surprise to see other Guests embracing the attraction, and Redd as well. Guests also have a chance to meet Redd herself, as she can sometimes be found roaming around New Orleans Square, sadly, she wasn’t out and about during our visit! You can see images of the new redhead and read more on the change here. Thank you!! Be sure to like their Facebook page and follow them on Instagram. There is also a Facebook page dedicated to the unofficial theme days, where you can learn about others! How FUN. You have the look! Thank you for all your posts. I love to learn about all your adventures.